Tennamast is a leading manufacturer of yacht cradles, boat trailers and masts. Driven by excellence and innovation, we are recognised globally for creating award winning products which offer high performance, exceptional durability and best value for money. 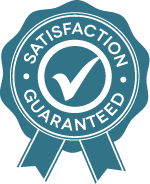 We are totally committed to customer service and satisfaction, and offer the unique Tennamast guarantee on all our products, giving our customers peace of mind that they are making the best purchase possible. © Copyright 2010-2019 Tennamast (Scotland) Ltd. All Rights Reserved. Registered Company in Scotland SC361351.